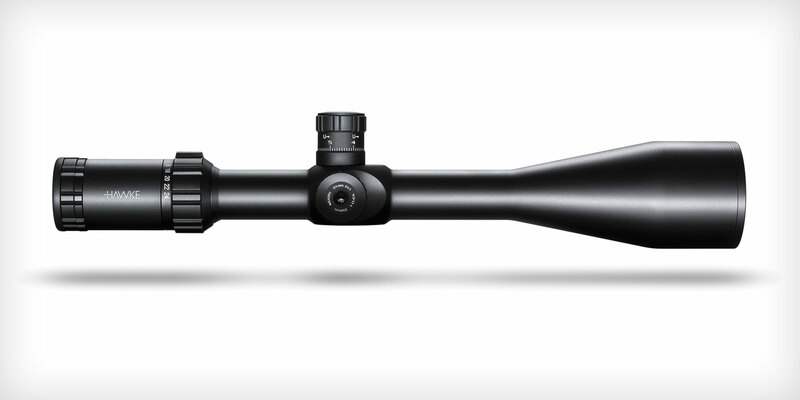 A first from Hawke, the all new First Focal Plane riflescope (FFP) models are available in the Frontier & Sidewinder lines; designed to meet all the requirements for both hunting and long-range shooting. The all new Sidewinder FFP models are still built with the same robust chassis and incredible optics the Sidewinder range is known for with 18-layer multi-coated optics, locking ocular and high torque zoom ring. While the flagship Frontier range offers 21-layer multi coated optics, long eye relief for high recoil and magnum calibres and a fast focus eyebell and zoom ring with thumb lever. Both ranges are built in 30mm mono-tube chassis with side focus control for parallax adjustment to infinity with 1⁄10 MRAD exposed and locking turrets. The glass etched illuminated reticles feature a special FFP mil design, available in red for the Frontier models or red and green for the Sidewinder.